I’m not a big lover of punches now that I have a Cricut. However, simple, useful border punches that I can use a variety of ways are something I’ll invest in. 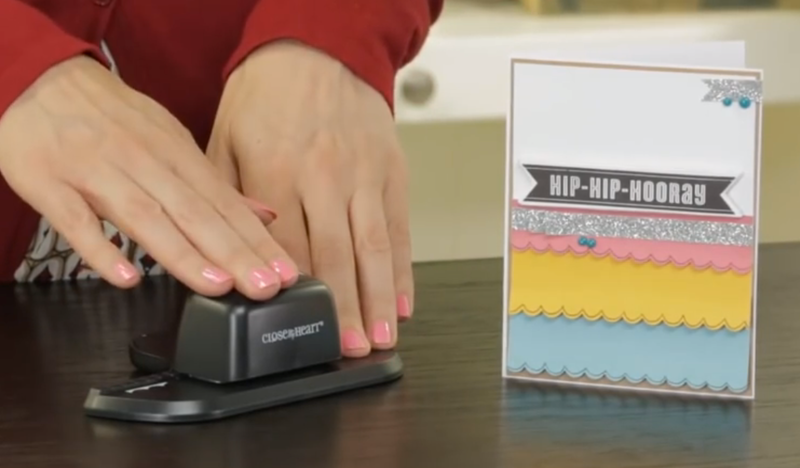 It’s so easy to create a border of any length with this Scalloped Border Punch from CTMH. Want a 12” border? The Cricut can’t do it without jumping through a lot of hoops and a 24” mat. Simple is great! Check out these itty bitty borders! I would cut the strip of paper a bit wider and trim it down after it is punched just so it’s a little easier to hold. There’s a ton of great videos on YouTube showing Close to My Heart’s products. There’s a new Artbooking project each week! Click here to Subscribe to the Official CTMH YouTube channel. I’m on Cloud 9 Blog Hop!